MARRAKESH, Morocco — Moroccan officials on Tuesday called the death of a fish vendor who was crushed in a garbage truck an involuntary homicide, and said that 11 people would be brought before the courts as part of a criminal investigation. The vendor, Mouhcine Fikri, 31, was killed on Friday after he jumped into the compactor at the back of the truck to recover his swordfish, which the police had confiscated because the fish is a protected species. Cities in Morocco have since been consumed by protests, by some estimates the largest in years. In a statement on Tuesday, Mohamed Aqwir, the public prosecutor for Al Hoceima, the northern port city where the death occurred, said that a preliminary investigation had established that there was no order to kill or harm Mr. Fikri. The statement offered the following account of his death. Mr. Fikri had bought 500 kilograms, or 1,100 pounds, of swordfish from fishermen at Al Hoceima. The species is protected, and may not be fished between Oct. 1 and Nov. 30. Mr. Fikri asked someone to drive the fish from the port. The vehicle was not examined when it left the port, but security officers subsequently stopped and inspected it. A representative from the country’s Agriculture and Fishing Ministry arrived and cited the driver for violations. The police informed the prosecutor’s office, which ordered the fish confiscated and the driver detained. A veterinarian found that the fish were unsuitable for consumption because their origin could not be documented. The fish were ordered destroyed, and officials summoned the garbage truck to carry out the task. The operator of the truck requested a formal order before destroying the fish. The officials delivered such an order to the head of the company, but that document turned out to be a forgery, investigators found. As the truck was loaded, Mr. Fikri and several friends climbed into the back to save their merchandise. “At that moment, the compactor began running, following the activation of machinery on the rear right side of the truck, which caused the death of the deceased, Mouhcine Fikri,” the statement said. Investigators interviewed 20 people over three days, and referred 11 of them to the courts; eight people were detained. The government’s account of the death could not be independently verified. Since Sunday, thousands have taken part in protests, demanding that those responsible be held accountable for Mr. Fikri’s death. The city hall of Al Hoceima has been the site of raucous protests. Facebook Live videos showed hundreds of people in the city’s main square, shouting, “Down with the Makhzen,” a word that refers to the political system in Morocco, which is a constitutional monarchy. 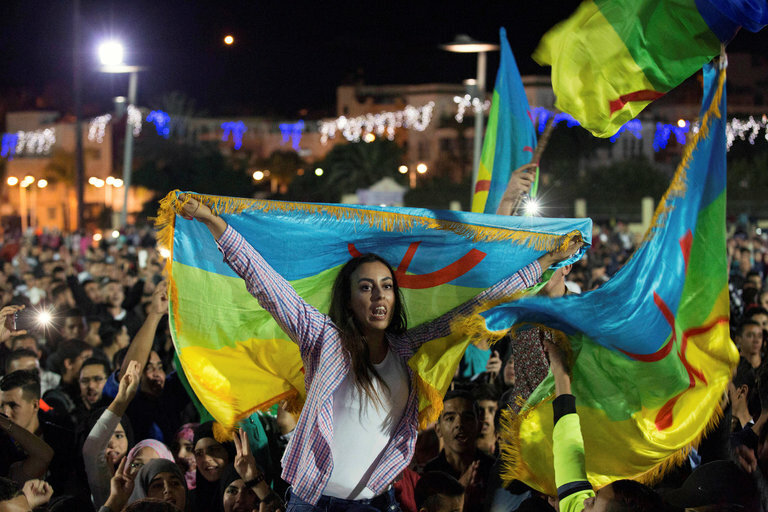 In 2011, as uprisings swept the Arab world, Moroccans agitated for democracy and social justice, though almost none for an overthrow of the monarchy. King Mohammed VI introduced constitutional changes in response to the protests, but some critics have called them inadequate.